Named after a funeral parlor in Ocean Beach, San Diego, CA, Beardsley Mitchell started with a Texas-Country album by Dynamite Hack of the same name. From there the Beardsley catalogue has expanded to encompass a wide range of originals, covers and country versions of old DH songs. Mexico, Texas, mezcal, surf, road dirt, and Rock and Roll: Welcome to Beardsley Mitchell Music! 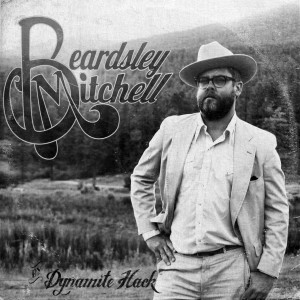 Dynamite Hack's Beardsley Mitchell EP available NOW! On itunes, Spotify and Google Play! Get Exclusive Access To BeardsleyMitchell & WussypuffMusic! Plus a free MP3! 1/4 of the price of our shirt sales go towards helping Hillary at GirlNextDoorHoney continue to help our bee friends survive our best efforts to eradicate them and their habitat. Hosting hives costs money and 4 shirts worth of sales could fund a hive for a month. It’s not a lot, but it’s a start, so do your part! Beardsley Shirts! 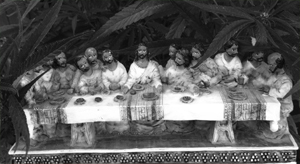 Check out the travels of "Black Last Supper"